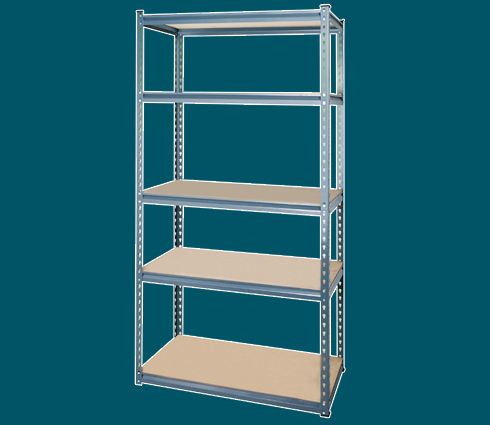 5 levels of shelving, rated at 350kg per shelf. Interlocking kitset with MDF shelves. Approx. dimensions 900mm wide, x 400mm deep, x 1800mm tall.